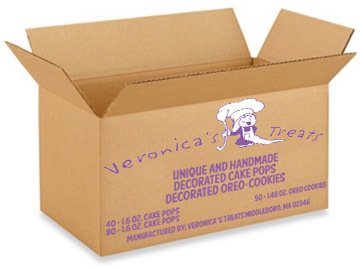 Veronica's Treats, a HAACP certified facility has been creating exceptional treats since 2003. We currently sell retail and wholesale. Some of our valuable wholesale clients include Massachusetts grocery chains, New England coffee shops, national mail order food catalogs, online retailers, wholesale bakeries and 1800flowers.com. Cake pops and decorated Oreo Cookies are our bigger sellers through our wholesale program. Please note: not all products are available for wholesale. CONTACT OUR WHOLESALE DIVISION to get samples, view our POS displays and get wholesale pricing. We also offer white label/private label fulfillment programs and custom product design services.